You'll flip for these stylish clips! They make fun bookmarks for your beach reads, too. 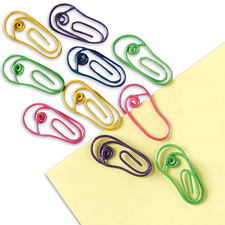 You get 15 tiny 1 1/4"-long clips in 5 colors. I was at a breakfast meeting last week when someone asked for my business card. I got the card holder out - and then noticed that all of the cards in the holder belonged to other people. This obviously happens to others besides me - or at least designer Sam Hecht - as he created this Give-and-Take business card holder. 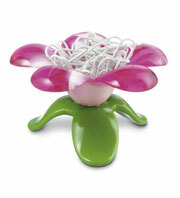 The Emily paperclip holder is magnetic, and holds the clips tight. Your ugly office could win you a trip to Hawaii if that makes you feel better. The search is on for America's nastiest, most disorganized, chaotic and pathetic office. The contest is hosted by ACCO Brands, a company that makes office products. And they are offering a trip for two to Maui for the person who officially has America's Ugliest Office. 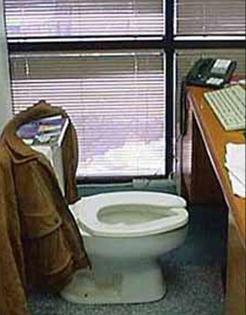 To enter, upload digital pictures of your ugly office at www.americasugliestoffice.com with a brief summary of why your office is such a disgrace. Entries will be accepted through Oct. 15. The public will vote for 10 semifinalists through Nov. 30 and the winner will be announced on Dec. 10. 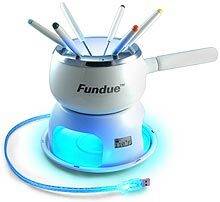 Expand your culinary sophistication without leaving your cube with the World's First Desktop USB Fondue Set. 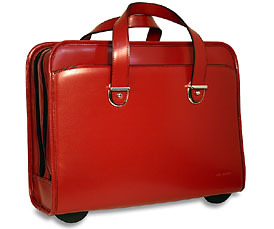 This Milano Collection Laptop Compatible Wheeler is hand crafted from from durable scratch resistant Italian leather. The bag features laptop compatibility for up to a 15.4” screen, an easy-access organizer, open front pocket, zippered inside pocket, accordian divider, and an open back pocket for papers or travel documents. You don't give up and that's your key to success. Though people might not always expect it from you since you're so sociable in the office, you've got success on the brain and won't stop short 'til you get there. As a Border Collie, your tenacious nature shines through at work. While others let go of issues, you tend to hold on until you reach the resolution you want. That's because you're trying to pave your way to the top, and you'll do everything necessary to get there. But you're not one of those power mongers who will be happy at the head of the company if you're there by yourself. You rely on having friends as an alternative support system in the workplace. And that's a good thing. Without friends to use as a release valve, you could just burn yourself out. Your energy is as boundless as your will is strong. When conflicts arise, you don't hesitate to let everyone within earshot know. You are not one for keeping emotions bottled up inside. One of your biggest challenges in the workplace is to find productive ways to use up your energy and new ideas. Since you are an extremely hard worker, you sometimes need to be told to quit for the night, take off and spend some time in your personal life. With your single-mindedness and perfectionist tendencies, you can be counted on to finish any job your boss puts to you. Your quick mind and affectionate nature keeps all your colleagues and work associates on their toes and asking to be involved in your projects. Your level of dominance: Your Alpha/Beta factor. Your need for affiliation: Your desire to associate with colleagues. Your temperament: How much you wear your heart on your sleeve. By looking at your scores on these three dimensions, we determined your dog type. It's a dog-eat-dog world out there but you're up to the challenge. You and your fellow Border Collies are Alpha dogs at work — true go-getters. You seek competition and enjoy seeing yourself sitting atop the ladder to success. You are protective of your turf and keep your eyes out for anyone getting too close to your projects, your promotions or your salary. When Alphas see the chance to lead, they take it. You like being in charge and hate wasting time. In fact, you're often doing two things at once so that you can get the most out of every minute. You have a high need to achieve excellence and it's important for you to be an asset to your company. 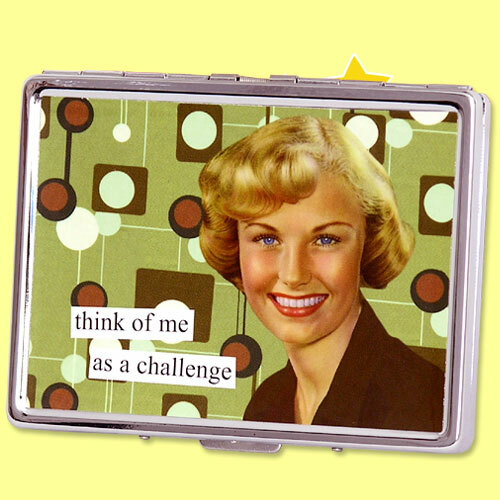 When challenged by colleagues, you may sometimes leap before you look or act brazenly. But most of the time you are intelligent enough to size up the competition, and think things through before jumping in with your opinion. Although your bark is worse than your bite, your tendency to get frustrated quickly lands you in your fair share of strongly worded "discussions." Your ambitious and competitive spirit earns your colleague's admiration. You try hard and are willing to sacrifice a lot for winning or achieving a goal. Your determination and assertive style not only helps you get what you want, but it also impresses the right people. The downside to your Alpha nature is that it can be alienating at times. It can be hard for you to truly celebrate the success of others, especially when you have not done as well. Learn how to be a gracious loser and concede defeat with a compliment instead of a pout. How you cope when the chips are down is a testament to your character. Learning how to be a gracious winner is just as important. People get tired of those who constantly gloat about their successes. Remember, not everything needs to be a competition. Lighten up a bit and learn to laugh when you misspell the CEO's name in a company-wide memo. If you want to please your inner dog at work, you need to identify an office environment that suits your social needs. When it comes to your job, there are a number of components that make it a good fit for you. Are you doing the work you want to be doing? Are you working for the kind of company you want to work for? Is your personality a good match for your career? In addition to those aspects of work, there is another factor that directly influences how happy you are at work: How important is it for you to make meaningful relationships with your fellow workers? Some people think this is crucial for their job satisfaction. Others find interacting with co-workers (beyond necessary needs) time-consuming, irrelevant, and disruptive to their productivity. In short, some people want to develop relationships with co-workers beyond the collaborations critical for the company, while others prefer to reduce the social intensity at work without alienating their colleagues. Border Collies like you are especially loyal and social. You do not like being alone and you seek companionship for most activities. Whether you're grabbing a coffee or lunch, you're likely to ask others to accompany you before you leave. You don't feel the need to be surrounded by people all the time, but you do like to have your social calendar booked, and you probably take comfort knowing your Palm Pilot is full of contacts. Having those contacts by your side is more important for you than others. You want to feel like you belong — regardless of the environment. Your co-workers are more than just people you see at work, they're often the people you spend time talking with about work and other matters. You value that since meaningful human contact helps fulfill you and drive you through your days. Beyond the work requirements, you see your co-workers as a source of friendship and emotional support, and you take pride in being one of the people who holds the group together. Whether it's too many deadlines or unreasonable bosses, everyone experiences job-related stress. How you handle stress and anxiety varies from dog to dog. Tickle analyzed your temperament. And now, we can take a look at how you cope with stress and how it impacts others around you. As a breed, Border Collies are in tune with their thoughts and feelings. That means you don't see the point of covering up your thoughts or anxieties. Because you tend to voice what you're feeling inside, your moods can also fluctuate more than others in the workplace. In fact, the way you act in the office is in part determined by your moods and stress levels. When your emotions are intense, you react strongly to situations and to people around you. You can be in a great mood that shows around work on Monday, yet Tuesday could feel like the longest workday of your life. On the rare occasions when this happens, it is easy for you to get overwhelmed and feel slightly out of control. For the most part, however, you understand what works for you and are quick to seek support from others. You're fairly honest with your thoughts and feelings, and that helps people at work understand where you're coming from. Colleagues see you as a straight shooter, which let's them know how to react to you. With you, there aren't too many hidden agendas to guess about. At times, however, your emotional intensity can be tiring for people at work. They can tell when you're stressed just as they can tell when you're on cloud 9 — and those vibes are contagious. That's why they might cut you a clear path when you seem uptight. They don't want to be the ones you snap at and they don't want to be on the receiving end of a snippy comment that you'll probably apologize for later. For these reasons, co-workers might not run to you for emotional support, and conversely, might not be too quick to run to your side when you could use someone to talk to. Remember, your colleagues have their own stresses and worries. Your tendency to share yours can sometimes be too much for them. Also, when others have good news to report and things aren't going well for you, they might be cautious about sharing the news because they're concerned you won't be able to enjoy their successes. Ultimately, however, people like your approach to work and enjoy having you around — if not always for your ideas, then at least for the big personality you bring to the workplace. When it comes right down to it, every dog has its own quirks. To get a more complete profile of you at work, we went beyond your breed to find out how you learn and adapt to change. Those factors combined with the other personality characteristics we've discussed will paint a full picture of your breed of dog at work. To proceed up the career ladder, you've got to understand the way you learn. If you don't know that, you can miss opportunities along the way, and lose valuable time and energy trying to understand concepts and positions critical to your job. You are an introspective learner, a ponderer. You learn best when you have the time to think about things on your own, before you have to act on them. You'd rather act more slowly, but consider all the possibilities and options than act quickly and make adjustments later. And beyond that, once you learn something, you can be counted on to be thorough and reliable. You are confident of your abilities and are not afraid to admit you need to learn more. In work situations, people probably think of you as the follow-through person. So learn how to use your introspective learning style to your advantage. Take the time to understand the types of environments in which you learn most effectively. If you follow these rules, you will become a faster and more successful learner. Because you are an introspective learner, you have a careful and methodical style. Since you prefer to pore over material before acting on it, try to find extra time to study up before you hit meetings. That will help you appear prepared to colleagues if you are called on to offer your opinion because you have already had the time you like to mull things over. It is difficult for you to learn in a group format when everyone has his or her own pace. When you are reflecting on the material, you will learn it faster if you think about the "what ifs" and anticipate objections or troubles. Jot down your thoughts on paper so that you can share them with others in a meeting. Still, meetings and seminars can be difficult for you, sometimes. To keep yourself engaged, ask questions often and request that there be a short break every hour to give you a chance to absorb the material. How do you respond to the new and the different? How you react to new situations or adapt to change gives you insight into your personality. While you were taking the test, Tickle examined your tendency to seek new situations and your ability to cope with change. You thrive in new and unfamiliar territories. You seek excitement and novelty because you get easily bored with the same old routine. Because of this, you relish change — especially in the workplace. You look forward to expanding your duties and responsibilities. While some people prefer routine, you prefer to keep growing, learning more, and gaining better skills and experience. Whether it's heading up a new group, joining a new department, or taking on additional responsibilities, you are excited to meet the challenge and broaden your capabilities and definition of yourself. You can adapt to many situations fairly easily. This talent makes you a good traveler, and a great asset to any company. While others are bemoaning their travel schedules, you see it as an opportunity to learn about new places and collect new experiences. Now that you know more about your exploratory nature, read on to see ways that you can adapt better to your work environment. Your ideal work environment would be fast-paced with a variety of activities swirling around you. Belonging to a startup company or to one in a cutting edge industry would suit your pace, well. Then again, so would a job that allowed you to advance quickly, taking on additional roles as you went. You enjoy having to stay on top of things and like every day to be different. Where you'll run into problems is sticking to responsibilities that you find boring or tedious. Sometimes the nature of your job can't change quickly enough for you. To give yourself the feeling that your tasks are changing, try to mix up short term and long-term projects. And don't forget that every industry has new frontiers to explore. Do some research or attend conferences about the future direction of your industry and get involved in the global conversation. Even if what you do is routine, feeling like you belong to larger group concerned about the new and bold will give your job greater meaning and something to chew on. The research behind this test rests on theories developed and studies conducted by psychologists, Richard M. Felder, Ph.D., Linda K. Silverman, Ph.D., David C. McClelland, Ph.D., Meyer Friedman, M.D., Ray Rosenman, M.D., James Gross, Ph.D., Robert Levenson, Ph.D., and Mary Rothbart, Ph.D. Felder & Silverman developed theories on different learning styles. McClelland covered fundamental human motivations including the need for affiliation. Friedman and Rosenman are two cardiologists who first investigated Type A and Type B behavior patterns. Gross & Levenson examined differences in coping styles, and Rothbart studied the development of temperament in children. What breed of dog are you in the workplace? Take the test and find out. 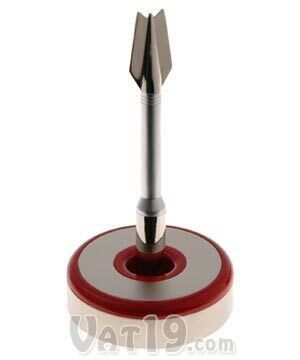 The Bull's Eye Pen features a magnetic base that keeps the pen in an upright position. The heavy base also doubles as a paperweight. The Bulls Eye Pen is made from metal and the tip unscrews so that you can replace the ink. 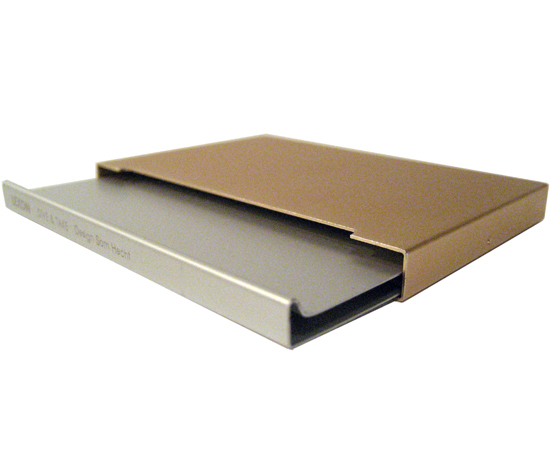 This darling business card case is made of sturdy aluminum with glossy laminated top. Measures 4"W x 2 7/8"H x 7/8"D. Mirrored interior finish.